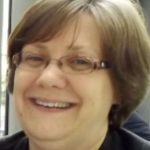 Much has happened since the last time we blogged about the Job Share and Alternative Working Network. The network have been working to promote and support job sharing in all government departments. 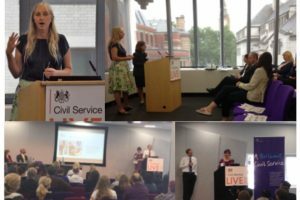 It started with Civil Service Live in London on 12 and 13 July. Network members Emma Cole, Sarah MacLean, Jenni Henderson, Alex Lambert, Caz Thomas and Brian Stanislas delivered learning sessions on 'Flexible working – making job sharing work for you'. A job sharer’s life - job sharing colleagues sharing lessons learned on how to make the job share working arrangement successful. Making the ‘finder’ work for you – an overview of the Civil Service Job Share Finder, with tips on making a great site profile and using a mobile device to register on to the site. We had a wonderful turnout, more people attending the sessions than anticipated. We had to arrange an extra session in one of the larger meeting rooms. Our profile has increased significantly across the Civil Service, helping us make new contacts within departments (particularly Work and Pensions, Justice, Defence, HM Revenue & Customs and the Home Office) and other diversity networks. These include the Cross-Government Women’s Network, where we have been invited to do some more promotion of flexible working, and job sharing in particular. There has been a positive impact on the Civil Service Job Share Finder too, with over 1,500 colleagues registered on the site. Also, 40 job share partnerships have been formed to date and we are particularly encouraged that this figure includes 19 female colleagues from G7 to SCS grades who have found their job share partner and taken up new posts with them. HMRC – where HMRC management shared with staff their experiences of job sharing and promoting flexible working within the organisation. DWP – where remote workers were able to dial in as well, and proceedings were video-conferenced to offices in Leeds and Newcastle offices. One of our network representatives, Deborah Brooks (Job Share Deputy Director for Early Years, Department for Education), spoke about her experiences of job sharing with Susie Owen and the benefits gained. 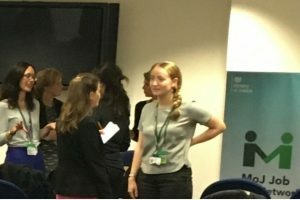 Ministry of Justice (MoJ) – which hosted a job share ‘speed networking’ event, an opportunity for policy professionals to meet others in the profession interested in job sharing. The event featured network representative Nicola Hewer (Director, MoJ), speaking about her career in policy and job sharing in a policy role. We have more such events coming up, including at Public Health England and MOD in October. So keep an eye out. 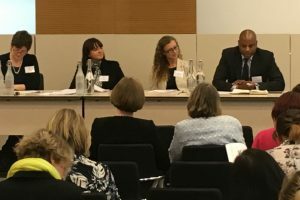 As the winner of the Innovation Award at this year’s Working Families Special Awards, our own Brian Stanislas, Civil Service Job Share Finder Product Manager and network member was invited to join the Innovation Panel at the Top Employers for Working Families Best Practice Showcase event this week. Winners and finalists of Special Awards shared lessons learned with a range of private and public sector organisations, including Cisco, West Midlands Police, the RAF, Barclays, MoJ, Imperial College, Deloitte, Royal Mail, Gingerbread, Joseph Rowntree Foundation, EY, Carers UK and LSE, to name just a few! You can keep up to date with the network's activities and new job share events by reading their job share blogs here, or in our site users newsletter, which you get if you register on Civil Service Job Share Finder. Civil Service job shares on the up and up!